Our holistic approach to services allow flexibility to meet any of our client's needs. What is the TeleSource Advantage? 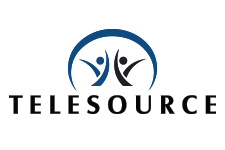 The TeleSource Advantage involves the full range of communication solutions. We specialize in voice, data, mobile, messaging, or video services. We provide our clients the ability to view, manage, order and optimize your entire communications environment. Our world class advantage stems from our ability to provide more of a valued partner approach to our work. We help you establish new processes, forecast goals, and help manage more involved projects that are far beyond what the traditional TEM provider would provide. 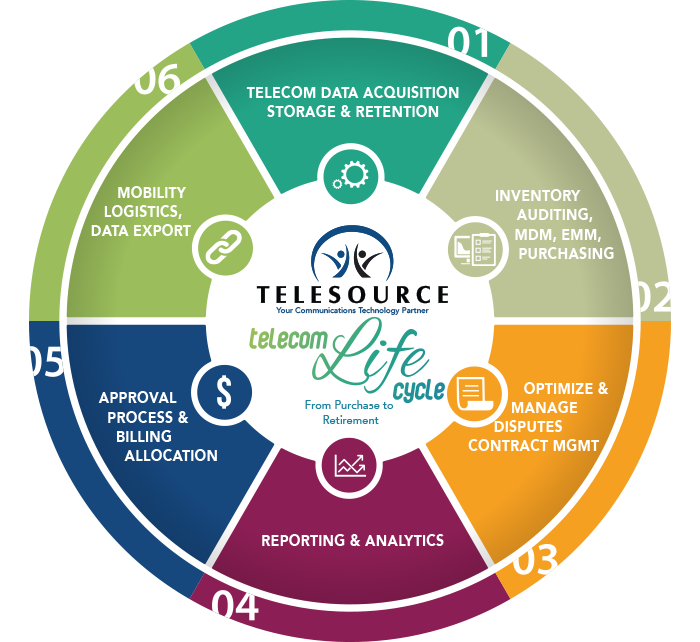 Our solutions have evolved from the traditional Telecom Expense Management (TEM), into what we consider the complete Communications Lifecycle (TEiM). We provide total visibility across your entire communications environment. Basic TEM services only focus on the expenses and invoice processing and are no more than software-based solutions. Our TEiM packages encompass expense management, asset management and technology purchasing. The true power of TEiM is in its ability to be flexible to manage all aspects of your communications environment as it continues to grow and change.